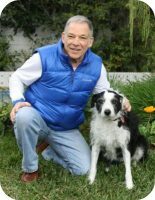 "Bringing the science of animal behavior to attorneys"
Dr. Polsky is an exceptionally well-qualified dog bite expert witness. 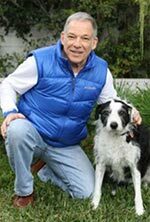 He has over 30 years of experience working companion dogs, a doctoral degree in animal behavior, well-published in peer-reviewed journals and extensive experience in giving courtroom testimony. These unique qualifications set Dr. Polsky apart from other self-titled animal behavior experts. Dog bite attorneys have retained Dr. Polsky on numerous occasions. He has helped hundreds of attorneys gain favorable outcomes for their clients. Read the testimonials and feedback Dr. Polsky has received from attorneys. Dr. Polsky earned a Ph.D. in animal behavior from the University of Leicester. This was followed by an additional seven years of postdoctoral study in animal behavior at the University of Birmingham in England and later at the University of California at Los Angeles. Dr. Polsky has personally trained and applied behavior therapy to thousands of canines and felines in private practice in Los Angeles, California. These include hundreds of Rottweilers, pit bulls, German shepherds, Cane Corsos, Bullmastiffs and other large breeds capable of causing significant personal injury. Dr. Polsky is an outspoken critic of breed specific legislation. As an academically trained dog bite expert, Dr. Polsky places emphasis on developing expert opinions based on the findings from the animal behavior and dog bite literature. Topics addressed include the dangerous nature of attack-trained police K-9s, provocation, negligence, foreseeability, dog bite safety and all aspects of canine behavior. Consultation, documentation review, report writing, declarations to oppose summary judgment and testimony are examples of the dog expert witness services provided. Issues addressed include punitive damages, provocation, negligence, the evaluation of aggressive canines and how these issues apply to dog bite law. Read about the typical questions addressed by the animal behavior expert witness in dog bite lawsuits. Dr. Polsky’s bio can be found here. Dr. Polsky ￼will accept assignments throughout the USA. Dogexpert.com is the internet’s most comprehensive website on animal behavior & dog bite law. A website of resources for attorneys and dog bite victims. This website shares Dr. Polsky’s expertise about how the science of animal behavior interfaces with dog bite law. Dog bite victims are invited to complete the Dog Bite Injury Questionnaire. Visit the Blog. Connect on social media. Use the search function or Sitemap to find relevant content. Thanks for visiting! Wikipedia provides an overview of the services of expert witnesses, the roles, and duties of an expert witness. Looking for a definition of an expert witness? Visit this online dictionary. Commentary from the American Bar Association about when an expert witness can rely on hearsay. One of the many online directories listing expert witnesses in different fields. When Should Attorneys Hire Expert Witnesses? A short but concise article from the website of FindLaw. Expert witness testimony: the ethics of being a medical expert witness. A peer-reviewed paper in a highly regarded medical journal. Suggestions on how to cross-examine an expert witness from the American Bar Association. Animal Behavior is a top-rated scientific journal that publishes scientific studies on many different species, including dogs. Overview of the science of dog behavior from Wikipedia. Blog from a website directory listing of experts in a wide range of specialties. Summaries of appellate rulings pertaining to the admissibility of expert witness testimony make this site useful for both attorneys and experts alike.